From the Hancock County Courthouse, go east on Broad St. for 2 blocks and turn right on Boland, which becomes Linton Rd. Go 7.7 miles on Linton Rd. The church and cemetery are on your left. 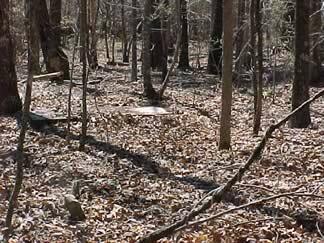 The graves in the last half of the list are back in the woods behind the open area. 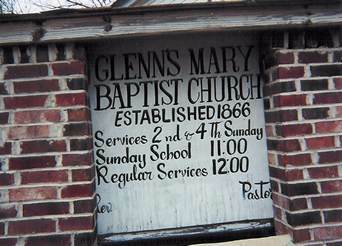 The sign in front of the church says that it was established in 1866. Unmarked Grave - Wilbert Morris, Jr.
Age 71. All info per funeral home marker. Age 9. This adult-sized slab is not inscribed. All info per funeral home tag. 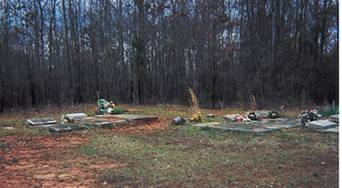 The following graves are in the woods behind the front cemetery.